Why is JAMA on MeetUp and what does this mean for me? JAMA is on MeetUp primarily for the extra visibility online. 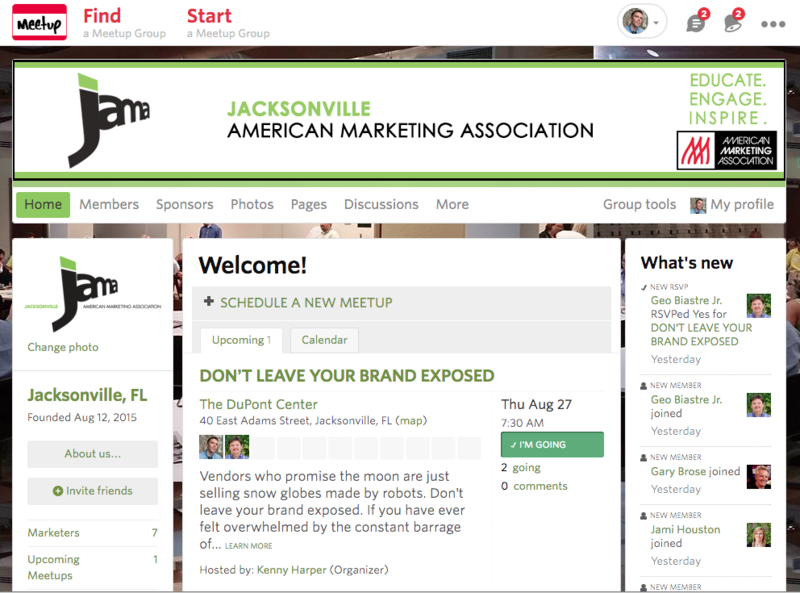 As people look for groups related to marketing in MeetUp they will now find JAMA as one of the marketing groups that meet regularly and offer great programming. This doesn’t really change how JAMA has worked or operated previously. AMA Membership is still handled through http://ama.org and Event Registration will still be through Eventbrite.com. Do I have to be an AMA Member to join JAMA’s MeetUp Page? No. Anyone can join the JAMA MeetUp page. However just by joining the MeetUp page, you are not an official AMA member or entitled to AMA benefits. Joining the MeetUp page is a great way to keep informed of JAMA events and start connecting with others. Why would I want to join JAMA? Full Access to AMA.org – Publications, White Papers, Podcasts and more.